The B2B world is moving fast towards Account-Based Marketing, Account-Based Sales Development…well “Account-Based Everything.” B2B sales and marketing have an imperative to be aligned on which accounts to go after and win. Given that just 1% of leads turn into revenue, it’s no surprise that sales and marketing are looking for different approaches to success. Demandbase runs an account-based program across 3,000 accounts (including enterprise and mid-market segments). They’ve seen up to 285% higher win rates and 35% higher deal sizes. CDW, Dell, EMC, SunTrust and more run account-based marketing and sales development programs across tens and hundreds of thousands of accounts (direct & indirect channels, targeting customer expansion opportunities as well as net new customers). They’ve seen up to 3x higher conversion rates and 15% higher sales quota attainment on average. A telecommunications provider and financial payments processor target millions of accounts as part of their account-based marketing and sales development programs (they target the “S” of the SMB market alongside the “M” of the SMB market across multiple product lines). They’ve seen about 20% higher conversion rates on outbound. With this in mind, I’m proud and excited to tell you about the latest release of our Lattice Predictive Insights Platform. 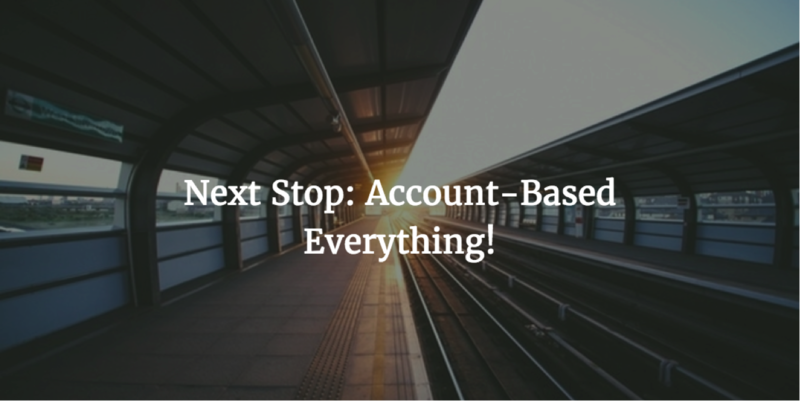 For the past year or so, our product and engineering teams have been hard at work re-architecting our platform to help companies operationalize “Account-Based Everything” across their entire business. We’ve re-architected our predictive analytics engine from the ground up to allow marketers to create account and contact models (using a self service interface) for different target markets (geographies, product lines, customer segments, etc.) in minutes. We truly believe that one size does not fit all when it comes to predictive modeling, so marketing (and sales operations) can create new models themselves within minutes without requiring any data science expertise. The engine also now features real-time scoring so you can instantly prioritize your accounts and contacts based on fit (how likely is that account to do business with me) and behavior (where is the account in the buying cycle based on the behavior of the different contacts in that account). Finally, our platform continues to be the only solution out there to be ISO27001 and TRUSTe compliant from an enterprise security standpoint. 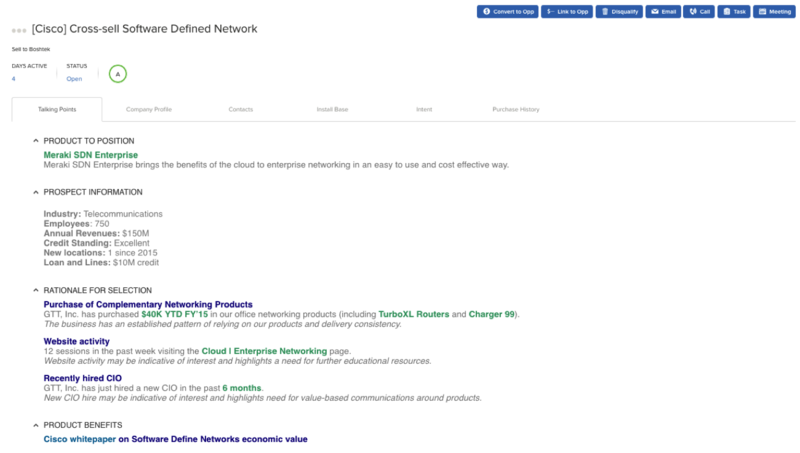 The new engine is an industry first: it brings scale, speed and security to meet the demands of all high growth and enterprise companies out there. What good is a score if you can’t put it to work? We believe that coordinated execution between marketing and sales is the hallmark of success in any B2B go-to-market program. Customers have been able to use scores with intent data to get better fidelity insights into who is in market. Building your account/contact database: B2B buying cycles are a team sport. According to IDG research, on average 17 individuals are involved in a buying decision. Lattice now enables you to identify and build your contact database based on job title, function, etc. for all key buyers at your target accounts. Marketers can then nurture each of these contacts until the account is ready for sales engagement. 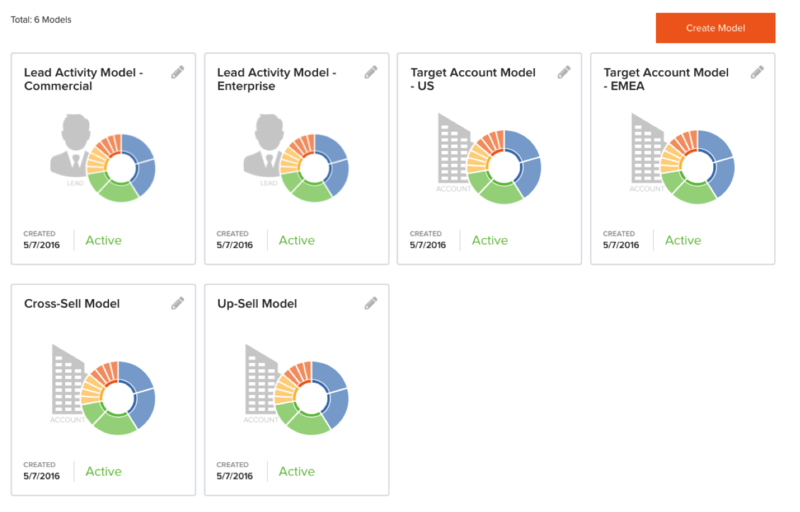 360-degree view of leads and target accounts: Lattice provides sales with additional context around the leads and accounts for follow-up. Sales can get an at-a-glance view of an account’s purchase history, buying intent, complementary and competitive technologies and relevant contacts for outreach within the latest version of our Buyer Insights App. I invite you to learn more. We are going to be at the Sirius Decisions Summit (Booth 316) this week, so drop by for a demo. I’ll also be doing a webinar with Mike Telem, VP Of Product Marketing at Marketo on Thursday, June 2 to walk through real-world examples of account-based marketing and sales. And as always, feel free to leave a comment below. I’d love to hear about your account-based marketing and sales programs.